WhenFresh has created the next in a series of groundbreaking data products for the Insurance sector. Home Insurance Prefill does what it says on the tin, providing 7 key data variables for each of the 29.7m residential properties in the UK. Home Insurance Prefill includes number of Bedrooms, Bathrooms & Reception rooms; When Built; Roof Type; Wall Type/Material; and Property Type (further broken down by Building & Dwelling Type & Description). 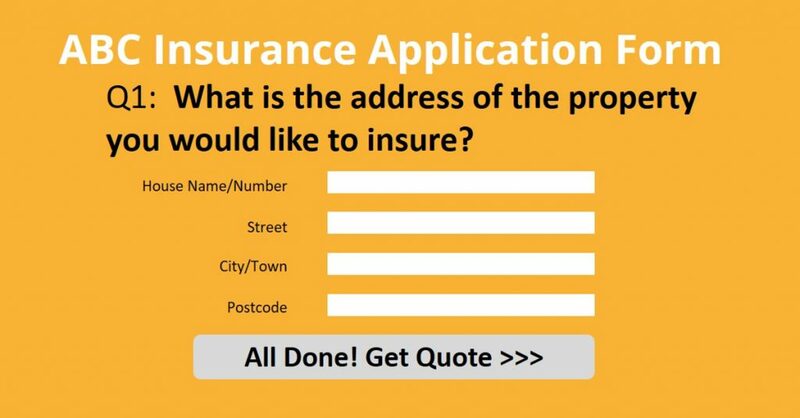 As the name suggests, Home Insurance Prefill is primarily designed to help automate the process of completing Insurance application forms to reduce consumer input, improve the quality & quantity of form completions and ultimately reduce marketing/acquisition costs for Insurers & Aggregators. Home Insurance Prefill is available now for immediate, flat-file delivery from it’s creator WhenFresh (and selected resellers) and requires no developer time to integrate. And for those wanting even more data for fully automated Prefill and/or other applications in Risk, Reinsurance or Claims Management, Home Insurance Prefill also includes WhenFresh’s proprietary Address Key to make it readily compatible with WhenFresh’s API-based “One Stop Data Shop”, BehindTheBricks. To find out more, visit https://www.whenfresh.com/service/uk-home-insurance-prefill/ or call us on 020 7993 5818. WhenFresh has built the ultimate “one-stop data shop” for the UK Home Insurance industry, bringing over 200 private and public data-feeds in one place (including Zoopla, Prime Location, uSwitch, CLS, Bluesky, Future Climate Index, Property Assured… and many more). The moment a consumer enters the address of virtually any residential UK address, we can pre-fill all the answers you need, instantaneously, via API. This means insurers can now readily access the data they need from a single source, taking only the data they need, on a pay-as-you-go basis. We call it BehindTheBricks, so please visit https://www.behindthebricksapi.com/ to find out more and book your demo. BehindTheBricks, the new API from WhenFresh, gives insurers access to over 2 billion UK property-specific data items to pre-fill insurance application forms & reduce abandonment. WhenFresh Ltd, a leading provider of data-driven marketing services to large Insurance, Financial, Property & Retail organisations, launches the ground-breaking BehindTheBricks API(www.BehindTheBricksAPI.com). BehindTheBricks provides insurers and comparison sites/aggregators with real-time access to over 2 billion verified property-related data items, which can be pre-populated to insurance applications forms the moment a consumer enters an address. This includes common items to reduce consumer input, as well as more difficult answers (e.g. ‘year built’, ‘proximity to tall trees’, ‘flood risk’, etc…) to improve data quality, increase form completions and reduce abandonment. WhenFresh is delighted to announce the launch of the BehindTheBricks API website. The site will give users an overview of the tool, and how it can help them access property information from across the UK. Visit the website today by going to www.behindthebricksapi.com. London-based DaaS firm WhenFresh has announced the closure of a £3m Series A round. The round, fully subscribed by CLS Data Limited (part of the CLS Group), also drew support from a series of undisclosed investors from the InsurTech and FinTech sectors. Co-founded by Alan Dean and Mark Cunningham, WhenFresh uses predictive customer analysis to help firms identify key life events that will trigger purchasing decisions. WhenFresh claims it’s proprietary algorithms are able to pinpoint exactly when customers are likely to spend more or dramatically less, thus giving customers advance notice of upcoming events.